Pope Francis: New Peripheries? 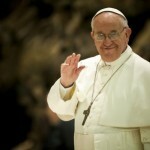 Pope Francis, institutional Church or Church of the charity? What is Pope Francis’ modus operandi for governing the Catholic Church? After three years of this pontificate, after the 15th meeting of the Council of the Cardinals, the question must be posed. The Council is not called upon to make decision, but simply to advise the Pope, while all decisions are left to the Pope. As far as curial reform is concerned – one of the reasons for the Council of Cardinals – Pope Francis’ latest decisions were made public on the eve of the most recent session of the Council, Saturday, June 4, and not at the end of the meeting, as part of the on-going process in decision making. Because in the end, the Pope alone makes the final decisions, though he does not want to give the impression of deciding by himself. According to the Pope, reforms must be made progressively. This is the reason Pope Francis’ governing method is that of the commission. The latest “commission” can be considered the bilateral table between the Holy See and the Italian Bishops’ Conference (known by the Italian acronym of CEI) established to discuss the problems that followed the reform of the canonical process for declarations of nullity in marriage. Pope Francis established the table on June 8, with a letter to the CEI’s General Secretary, Bishop Nunzio Galantino. Galantino will chair the meeting, but the CEI’s and Holy See’s experts are yet to be determined. The commissions are not merely intended to find a new balance among positions. Pope Francis needs them in order to know what people think. When a new issue arises the Pope establishes a commission. Read with this lens, it was no surprise when he announced he wanted to establish a commission to study the female diaconate, or even the Pontifical Commission of Reference to the IOR, or the commission on the Holy See’s economic-administrative structure that brought about the second Vatileaks trial. Pope Francis’ took the idea of commissions directly from the Jesuits. The Society of Jesus is organized in 91 geographical areas, called provinces, whose provincial superiors are directly appointed by the Superior General. The provinces are then gathered into 10 regional “assistancies”, each of them with an assistant to the Superior General, working de facto as advisers to the latter. The Superior General is the only one who makes decisions, and this is the reason why he is commonly called “the Black Pope”: his power is unlimited. This Jesuit spirit must not be underestimated in analyzing Pope Francis’ modus operandi. 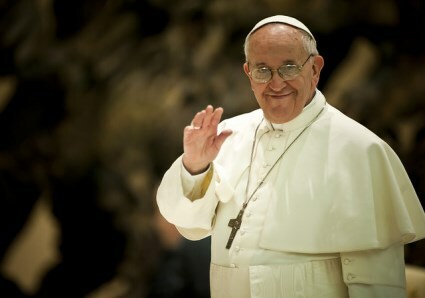 If the “party of mercy” – the St. Gallen Group – had long time ago identified Jorge Mario Bergoglio as the ideal candidate to the papacy, it was because he bore with him the notion of a series of advisers that could somehow go beyond the Roman Curia. Cardinal Godfried Danneels, who talked about the St. Gallen Group as a sort of “Mafia Club,” was not the only one proposing the appointment of a “Council of the Crown” in interviews. Even a group of Cardinals of the old Curia fostered the idea. At the beginning of 2005, while St. John Paul II was dying, they met around a draft for curial reform drawn up by the then Msgr. Attilio Nicora. This reform predicted the establishment of a Council of Cardinals (in the number of 12) to assist the Pope, a less centralized Secretariat of State and one eventually divided in the two sections of foreign affairs and ordinary affairs (the so called “moderator curiae”), the absorption of the pontifical councils by the congregations, and even a unique coordination for pontifical universities. This is what Cardinals advising the Pope are for, and this is what the Pope is putting into action through curial reform. But this reform represents only a minimum part of Pope Francis’ idea of Church. He is more interested in reforming the profile of bishops, than the Curia. He mostly aims at picking bishops with the smell of the sheep rather than bishops intellectually well founded. And this is what he is doing in the College of Cardinals. He is redesigning it according to the rationale that the universal Church should be more represented. True, the Pope will not take the red hat away from dioceses and offices which by tradition are assigned to a cardinal; nevertheless, it is very likely that he will raise the number of cardinals eligible to vote in a conclave from 120 to 140, perhaps in the upcoming consistory. So the Pope enlarges the base of the College of Cardinals in order to have a wider view on world issues, and he multiplies commissions. The real issue with the commission is that they privilege the model of “the Church as a field hospital,” but they sideline some already existing situations. The motu proprio Mitis Iudex Dominus Iesus that simplified the procedures for declarations of nullity in marriage was one of the fruits of the studies of the commission that Pope Francis appointed before the 2014 Synod and whose results were announced before of the 2015 Synod. Debate on the document was de facto denied to the Synod assembly. Among the novelties, the motu proprio gave the local bishops a more central role, since he was called to act as a judge and to establish a diocesan tribunal for cases of nullity. In this way, the structure of the matrimonial tribunal changed. In the end there remain the diocesan tribunal, the interdiocesan tribunal, tribunals of the metropolitan province and the Roman Rota. It was not an easy change, as it also dealt with the finances. Organization and economics will be the focus of the discussion at the table. Pope Francis’ reform did not make clear whether the regional and interdiocesan tribunals had to be abolished. These latter were one of the strengths of the Italian system, where in the course of the years a network of big, regional tribunals that provided services almost without charge was developed. Regional tribunals had been established following Pope Pius XI’s 1938 motu proprio “Qua Cura”. Pope Francis’ reform provided that the new norms would require either repeal or dispensation from Pius XI’s indications. Many Italian dioceses advanced requests for a clarification. At the beginning of the year, the Roman Rota issued a “vademecum” concerning the application of the motu proprio. Despite the Rota’s document, the situation was still puzzling. Which norms were repealed? From which norms were dispensations granted? The new norms also required that trials are free. 81 per cent of the expenses of regional tribunals were sustained by the “8 per mille” collection, through which Italian taxpayers can devolve 8 one-thousandths of their taxes to the Catholic Church. The system allowed the CEI in 2001 to establish a fee of 500 euros for each case – in case of indigence, no fee was charged – while the larger tribunals (regional and interdiocesan) also looked after the expenses of the smaller (diocesan) ones. What should be done now with diocesan tribunals, once interdiocesan and regional tribunals are abolished? It was a major issue, widely discussed during the CEI’s general assembly in May. During the assembly, the majority of the regional bishops’ conferences insisted that Pope Francis’ reform might be better applied to the regional instead of diocesan tribunal which – the Italian magazine “Famiglia Cristiana” wrote – are more effective, guarantee a legal certainty and avoid the need to hire temporary workers, which always happens when tribunals must deal with just a few cases. How to face these issues, then? For Pope Francis, things are done progressively, and this is applied to everything: from ecumenism to curial reform, to his idea of Church. It is a long path, carried forward through trial and error. This same path is intended for reforms. The Council of Cardinals is not only entrusted to advise the Pope on curia reform, but also on Church’s universal government. How much the Pope welcomes the suggestion is yet to be seen. However, the way suggestions are put into practice became evident on June 4, when the establishment of the Dicastery for Family, Laity and Life was announced together with the motu proprio “Like a Loving Mother,” that designated a procedure to demote negligent bishops, with special reference to the sexual abuse of minors. Both of the decisions are an outcome of the deliberations of the Council, and yet both of them leave many things open. It is not to be excluded that another study on the issue will be needed, as happened in the case of the Vatican reform of communications – there was a committee and after that a commission to discuss the conclusions of the committee. The new dicastery replaces the Pontifical Council for the Laity and the Pontifical Council for the Family. The fact that the new dicastery is not described as a congregation or as a pontifical council (these are the two kind of curial dicasteries that exist so far) shows the desire for a new terminology. In the end, the dicastery for the economy and the one for communication – both of which can be compared to a congregation – are called, in fact, secretariats. None of the newly established secretariats has been included in “Pastor Bonus” (the apostolic constitution that regulates functions and tasks of the Roman Curia), nor is the dicastery for family, laity and life. According to the statutes, the new dicastery simply repeals the articles of “Pastor Bonus” concerning the dicasteries to be suppressed. The same name – “Dicastery” – demonstrates that we are in the middle of an on-going reforming process. In the end, everything is in evolution. Some characteristics of Pope Francis’ reform can be understood from the dicastery’s statute. First of all, nothing is said in regard to the Prefect of the dicastery (will he be a Cardinal, as all the prefects, according to “Pastor Bonus”? Or even an archbishop, as the president of a pontifical council can be?) It is specified, however, that the secretary of the dicastery “can be a layman”, and it is underscored that those in charge of the three undersecretariats (family, laity and life) must be laymen. Even the members of the dicastery can be laymen, while previously only exceptionally could a member be a layman, and it was implied that all decisions were to be taken at least by a bishop. Pope Francis’ reform wants to include more layman within the Vatican dicasteries, also in posts given by tradition to clergy. The vagueness concerning the rank of the prefect (and also concerning that of the dicastery) may lead one to think that the Pope is waiting for a brand new apostolic constitution. However, there are things to be considered and clarified: the fact that the Numbers 1 and 2 of Vatican dicasteries are high ranking clergy (cardinals or bishops) gives them authority in the international arena, when they are called to support the Holy See’s Permanent Observer or to take the floor at international conferences. On one side, the reform emphasizes the role of laity. On the other side, there is the risk of degrading the weight given to the Holy See’s traditional diplomatic role. Beyond that, discussions over reforms are always in evolution. So much that even the name of another of the new to-be-established dicasteries swung over the course of time from Charity, Justice and Peace to Justice, Peace and Migrations and – again – Charity, Justice and Peace. In de facto terms, we are just talking about organizational moves that are not aimed at changing the mission of the Roman Curia, which is to assist the Pope in governing the Church. In the end, this is also a reform in progress, to be defined through trial and error. The same happened with the motu proprio “Like a Loving Mother”. In this case, the Pope took a step backward with respect to the proposals of the Council of Cardinals. One year ago already, at the end of a Council meeting, the proposal was made for a special tribunal to deal with negligent bishops. The proposal had no follow-up, because it was not understood how the tribunal would work beside the Congregation for the Doctrine of the Faith. “Like a Loving Mother” simply clarifies some procedures with the backing of abuse survivors that work with the Pontifical Commission for the Protection of Minors. How will things change? This is an open question. Cases of removal of bishops are regulated by Canon 193, which holds that a person can be removed from office only “for a grave cause, and in accord with lawful procedures.” Fr. Federico Lombardi, the Director of the Holy See Press Office, stressed that this is simply a procedure, and it is a non-penal procedure since it does not deal with a crime. Fr. Lombardi also explained that the grave causes include the negligence of a bishop in exercising his role when this negligence might cause grave harm to others. The motu proprio requires this negligence to be demonstrated objectively, but it also determines that the removal can take place even without “grave moral guilt”, and in cases of abuse of minors it is sufficient for the negligence to be “grave” and not “very grave”. This is not a moot point: to define the gravity and seriousness of cases is an ineludible criterion for justice. Like curial reform, like the CEI-Vatican bilateral table, this document leaves some points open: Will there be a tribunal in order to judge negligence properly? Will the charge of negligence apply even when there is no abuse in question? Is not negligence already covered by Canon 1389, that stresses that “whoever, through culpable negligence, unlawfully and with harm to another, performs or omits an act of ecclesiastical power or ministry or office, is to be punished with a just penalty”? Are not bishops already removed for wrongdoing – especially in cases of abuse – in accord with Canon 401.2 that requires the resignation of bishops for a grave cause, and that has already been used many times to remove bishops who committed wrongdoing in cases of abuse? Is the reform just a reiteration of what canon law already established? And how does the relation between the Pope and the bishops change? Will it be comparable to that between a boss and his employees, a reform that allows the Vatican to remove all bishops who simply failed to act in particular cases? Even here, reforms are made progressively. A commission appointed by Pope Francis is expected in order to evaluate the cases of negligence. However, removing a bishop is not so simple. Just think about the case of Archbishop Anthony Sablan Apuron of Agana, Guam. Last week it was announced that the Vatican has sent an apostolic administrator sede plena in the person of the Archbishop Savio Ton Fai-Tai, Secretary of the Congregation for the Evangelization of Peoples. The appointment followed accusation of sexual abuse dating back to the 1970s. The archbishop reacted to what he described as “malicious calumnies” and hired an American law firm to initiate a lawsuit against those who spread the accusations. There is a suspicion that the archbishop is also paying for some strong statements he has made against homosexual marriage. These are the effects of the Pope Francis’ reforms in progress. There can be some positive outcomes, since they open a broad discussion, but there is also the impression that the Church is left alone to face the secular world’s attacks. However, Pope Francis is a true Jesuit: he is not committed in evangelization, but rather in apostolate. He goes to the existential peripheries, he favors dialogue with the world, and he is asking the Church to behave the same way. In asking it, he is decentralizing the Church’s power and trying to strip it away. Only this way – the Pope thinks – will the Church be able to address the world in a credible way, and thus in a way that attracts people to faith.